Whether you are in Rome for one, two, three days or more, here are suggestions for your short break in Rome. My suggestions are modular and for half a day. 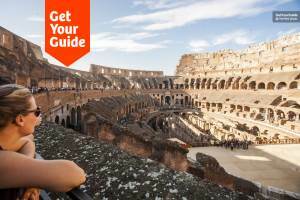 So you can put together your visit and sightseeing program for Rome that suits you best. 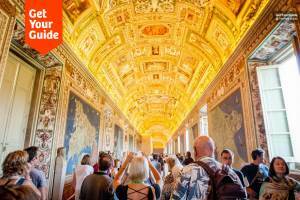 Three days in Rome, tips and ideas on what you can do in Rome in 3 days. 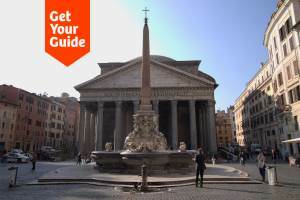 Here, you will find practical suggestions for your city trip to Rome also outside the beaten path. Do you want to stroll around at your own pace or visit as many attractions as possible? Here you will find a modular program for every taste. 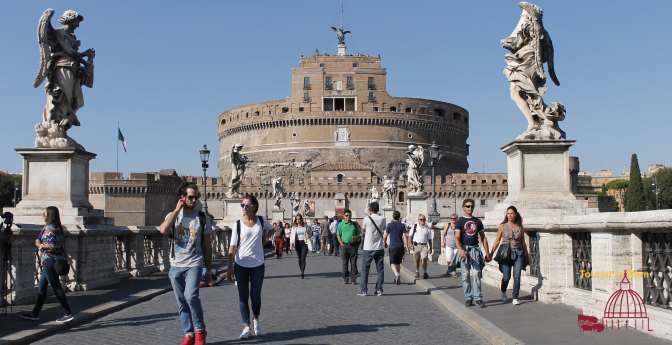 Especially when you are in Rome for the first time, you will need information about the best time to visit the attractions, about queue times, distances and how you can optimize your program according to your interests. Here you will find information on peculiarities on certain weekdays, tips on interesting combinations and some insider tips. I show you selected offers from my partners. A well-organized transfer, preferential entrance to the sights, expert guides, Rome city passes, concert tickets and much more will make your stay in Rome an unforgettable experience. My proposals are modular. You will find not only the usual attractions such as the Vatican or the Colosseum, but well thought-out suggestions for half a day or a whole day. You can combine the itineraries for the morning and the afternoon and put together your individual sightseeing plan. In addition, I will discuss the specifics of the individual days of the week in Rome. On Monday, many museums are closed in Rome, on Wednesday is the Papal Audience. What is going on in Rome on the individual days of the week, see what’s on every day of the week in Rome. You’re only a few days in Rome, then you should use your valuable time as well as possible. Depending on what you look at and what you want to experience in Rome, you should choose the location of your hotel. Termini central station is not really central and you need public transport to get to the center. Good locations for your accomodation are, if you like to stay near Ancient Rome, the surroundings of the Coliseum, if you like romantic walks, the center between Spanish Steps and Tiber and if you want to be among the first in St. Peter’s Basilica and in the Vatican Museums, you shall go for the Vatican area. For the hotel search I use Booking. There you will find a very clear search with city map, real hotel reviews and the best prices. If you are considering taking a taxi for the trip from the airport to the hotel, I recommend that you book the transfer in advance. It’s more reliable and usually costs only a little more. Whether limousine, taxi, bus or train, here you will find all information about the transfer from Fiumicino airport and from Ciampino airport. 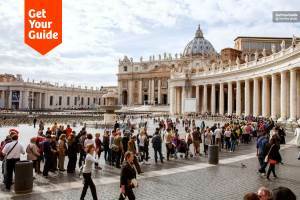 An experienced and compact introduction will help you to get to know the city of Rome. A guided half day tour on foot or a ride on the Hop on hop off Bus will give you a quick overview of the city center and ancient Rome. An alternative could be to connect the transfer from the airport with a tour of Rome. 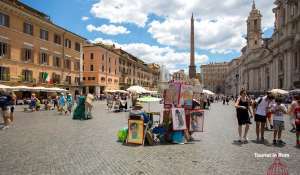 If you have time until dinner, you can rest in one of the splendid Roman squares and taste home-made ice cream. Even if the Romans usually go to dinner only after 9 pm, many restaurants open at 7. In Rome there is a good selection of restaurants serving Roman cuisine or with offers from other Italian regions, pizzerias, noodle kitchen, wine, fish and grill restaurants. 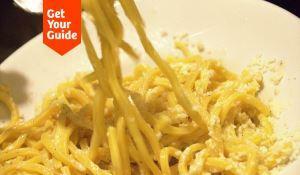 You will also find numerous kebabs, Japanese and Chinese restaurants in Rome. Other countries are less represented. After dinner, you may still feel like taking a walk through the city. If you rely on public transportation for the ride to the hotel, keep in mind that the subway operates until 11:30 pm on weekdays and until 1:30 on weekends. The buses usually leave until midnight. After that, there is a network of night bus lines that does not cover the whole city. Rome is a liveable and very green city. Rome is criss-crossed by green spaces and parks, and there are many opportunities to do sports. 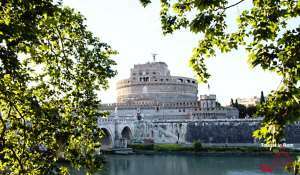 I inform you about Jogging in Rome and City walks in Rome. The center of Rome is not so big and if you are on good terms you can hike around the center and the archaeological area around the Coliseum. There are also beautiful cycling routes in Rome. My proposals for the morning and the afternoon’s suggestions are compatible and you can combine any itinerary in the morning with each proposal for the afternoon. You will also find information on how best to reach the starting point in the afternoon. 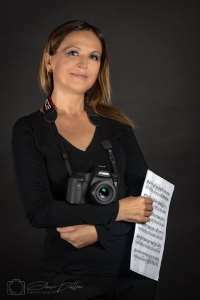 I will explain how to make fit the Vatican Museums, St. Peter’s Basilica and the Dome or Castel Sant’Angelo in one morning, and where you can then go for lunch. This program for a Vatican visit is good for Monday, Tuesday and from Thursday to Saturday, on Wednesday only if there is no Papal audience. This walk is a bit off the beaten track and offers you a mix of beautiful churches, viewpoints and culinary specialties over a 4 miles distance. In the afternoon I suggest you several objectives. The programs are so flexible that you can choose only some of the attractions and have more time for the individual visits. In addition to St. Peter’s, there are three Papal basilicas in Rome. In particular, St. Paul outside the walls is very beautiful, but little visited. 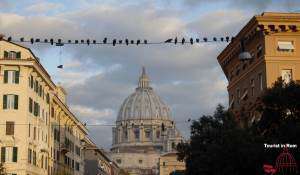 I’ll tell you how best to get to the Papal basilicas and the catacombs and how to combine the paths. In good weather, Via Appia Antica is a classic destination for a Sunday stroll. I’ll tell you how to get there, what to see and where to eat. You may have a late flight on the day of departure and you do not want to carry your luggage around the whole day. If you are not getting a limousine service from your accommodation to the airport, it might be interesting to have a pick up service of your luggage at your accommodation. You can then take it back at the luggage storage opposite Termini Central Station. From there you can easily reach the two airports Ciampino and Fiumicino. The pick-up service is available in the city center. The stated prices of 4 euros are per piece of luggage. There are also pick-up points in Trastevere and near the Pantheon, but they are probably rather impractical for you. This service opposite the Termini train station costs € 6 per piece of luggage and is a little less complicated than the luggage storage in the station. Luggage storage at the station will scan every piece of baggage before it is accepted and may cause longer waiting times. 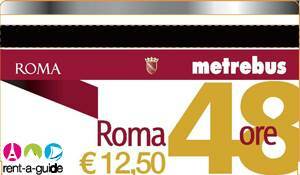 In addition, it is more expensive, because in the station the first 5 hours cost 5 euros and each additional hour 70 cents.